Cruise out over the waters of St. Augustine in search of pods of bottlenose dolphins on this 90-minute boat tour. 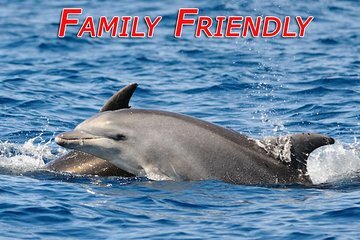 Greet the crew and find your spot on the padded bench seats, then set out in search of the local cetaceans. Learn about the animals' biology and behavior through the commentary of the crew, who know just where to find these animals. Other marine life sightings include turtles, manatee, osprey, and pelicans.